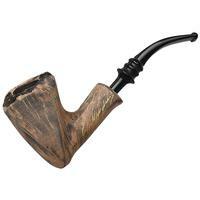 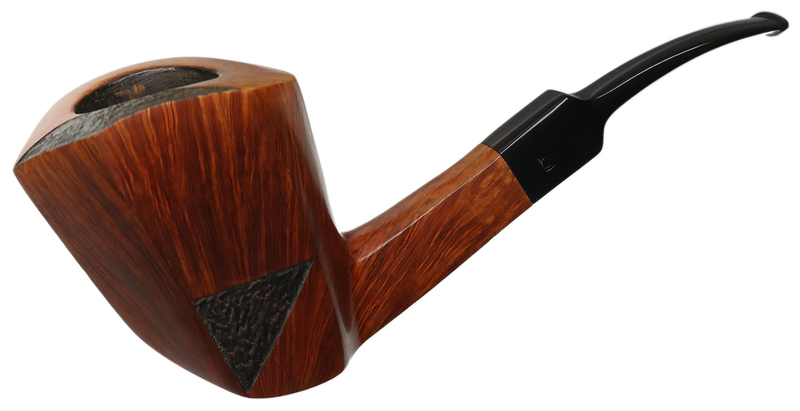 A forward-canted bent Dublin from Bjarne, this fellow fuses a crisp, architectural style of paneled shaping with a crown of seriously craggy plateau. 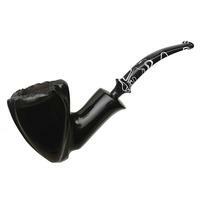 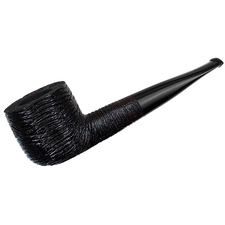 There's some light chamber charring, a little rim darkening, and a few scratches around the bowl, but otherwise condition is quite good. 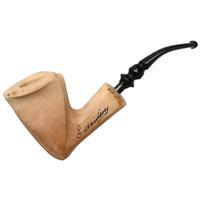 Bowl Height: 2.73 in./69.34 mm. 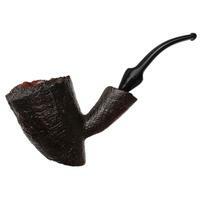 Chamber Diameter: 1.10 in./27.94 mm. Outside Diameter: 2.14 in./54.36 mm.